The Department of Justice has filed a Grant of Immunity for war crimes against George W. Bush, Richard Cheney, Condoleezza Rice, Colin Powell, Paul Wolfowitz, and Donald Rumsfeld. The filing for the immunity of war crimes was made with the United States District Court, Northern District of California San Francisco Division. The filing is for procedural immunity in a case alleging that they planned and waged the Iraq War in violation of international law. The Plaintiff in this case is Sundus Shaker Saleh, an Iraqi single mother and refugee now living in Jordan. She filed a complaint in March 2013 in a San Francisco federal court alleging that the planning and waging of the war constituted a “crime of aggression” against Iraq, a legal theory that was used by the Nuremberg Tribunal to convict Nazi war criminals after World War II. Richard Cheney, Donald Rumsfeld and Paul Wolfowitz began planning the Iraq War in 1998 through their involvement with the “Project for the New American Century,” a Washington DC non-profit that advocated for the military overthrow of Saddam Hussein. Once they came to power, Saleh alleges that Cheney, Rumsfeld and Wolfowitz convinced other Bush officials to invade Iraq by using 9/11 as an excuse to mislead and scare the American public into supporting a war. Finally, she claims that the United States failed to obtain United Nations approval prior to the invasion, rendering the invasion illegal and an act of impermissible aggression. 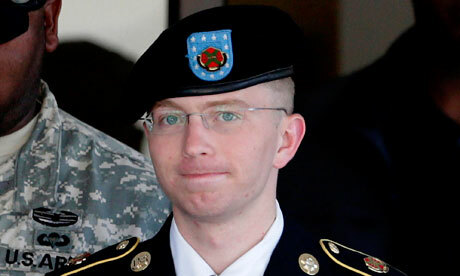 Bradley Manning has received a prison sentence that was 10 years longer than the period of time after which many of the documents he released would have been automatically declassified. The military judge handed down the longest ever sentence for a leak of US government information. Mr Manning, according to this logic, did more harm than the soldier who gave a Jordanian intelligence agent information on the build-up to the first Iraq war, or the marine who gave the KGB the identities of CIA agents and floorplans of the embassies in Moscow and Vienna. Mr Manning did three times as much harm in transmitting to WikiLeaks in 2010 the war logs or field reports from Iraq and Afghanistan, as Charles Graner did. He was the army reserve corporal who became ringleader of the Abu Ghraib abuse ring and was set free after serving six and a half years of his 10-year sentence. Among the 700,000 classified documents Mr Manning downloaded while stationed in Iraq was a video that showed a US Apache helicopter in Baghdad opening fire on a group of Iraqis, including two Reuters journalists and their children, who had attempted to rescue a severely injured man. More devastating than the film was the cockpit chatter of the soldiers who joked as they shot people in the streets. “Look at those dead bastards,” said one. “Nice,” said another. The Apache crew has never been charged with any offence (all their adult targets were listed as insurgents) and neither has any other individual as a result of Mr Manning’s revelations. But the shortened 17-minute version of the video has been viewed more than 3m times on YouTube. So, the central question to answer in judging the proportionality of this sentence is whether the desire to punish a whistleblower driven by moral outrage stems from the alleged harm he did US military and diplomatic interests, or whether it derives more from sheer embarrassment. The judge presiding, Col Denise Lind, had already thrown out the gravest charge, that of “aiding the enemy”. Col Lind had also limited the admissibility of evidence regarding the “chilling effects” that Mr Manning’s actions had on US diplomacy by releasing 250,000 state department cables. A military witness conceded there was no evidence that anyone had been killed after being named in the releases. Mr Manning’s recent apology for his actions does not, and should not, detract from the initial defence he gave for them, when he spoke of his shock at the “delightful bloodlust” displayed by that helicopter crew, or his belief that stimulating a debate about the wars was the right thing to do. We know what his motives as a whistleblower were and we have applauded them. 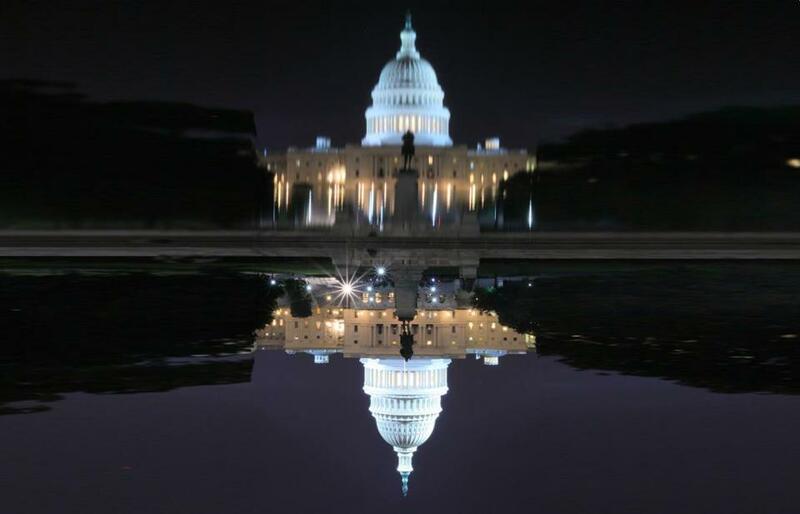 They are certainly not akin to treachery or any act fit to be judged – if anything is – by an espionage act rushed onto the statute book in 1917 after America entered the first world war. Mr Manning exposed the abuse of detainees by Iraqi officers under the watch of US minders. 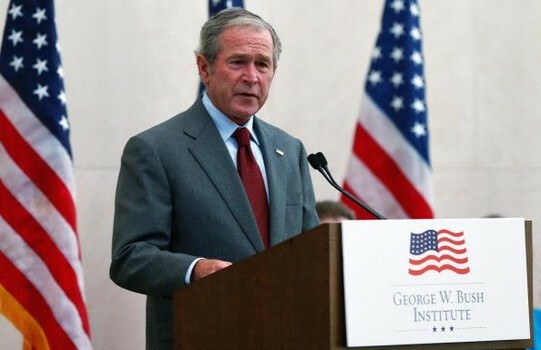 He showed that civilian deaths during the Iraq war were much higher than the official estimates. If they were published today, these claims would be uncontentious. They have already slipped into the official history of this war. But the author of this orthodoxy will continue to pay for the record he helped establish by a prison term that he will serve well into the next decade, which is when the first date for his parole application becomes due. Mr Manning was seeking to hold his country and its army to the values they claim to uphold. It is unclear what the US military hopes to achieve by securing a sentence that dwarfs those of other military convictions. Deterrence features large in its thinking. Whistleblowing will not only endanger your career, it wants to say, but your freedom – for most of your adult life. In 2008, one could have hoped that the US had a president whose administration would distinguish between leaks in the public interest and treason. But this sentence tells a different story. Mr Manning’s sentence, which is both unjust and unfair, can still be reduced on appeal. Let us hope that it is.